YOU.Inspired. Event - Serina Roy’s Story...Captured! Breaking Barriers is a video created by two very talented, strong women. Shira has a way of asking great questions, and listening to you. It opens you to things and experiences that you may have even forgotten about. While you are chatting your guard, and thoughts about being photographed all melt away. All the while, a very talented, calming Sarah sets the stage with lighting, settings, and the mood of each photo. This charming, eclectic way of capturing your life is all done seamlessly. The finished product is a picture, and video that Captures the real YOU. Come meet the faces of YOU.Captured, learn more about what they do, and celebrate our very own - Serina Roy at YOU.Captured’s first YOU.Inspired Event. Since Shira and Sarah of YOU.Captured believe that sharing your story creates an opportunity for making connections and bringing like-minded people together, we decided to co-host an event to do just this. 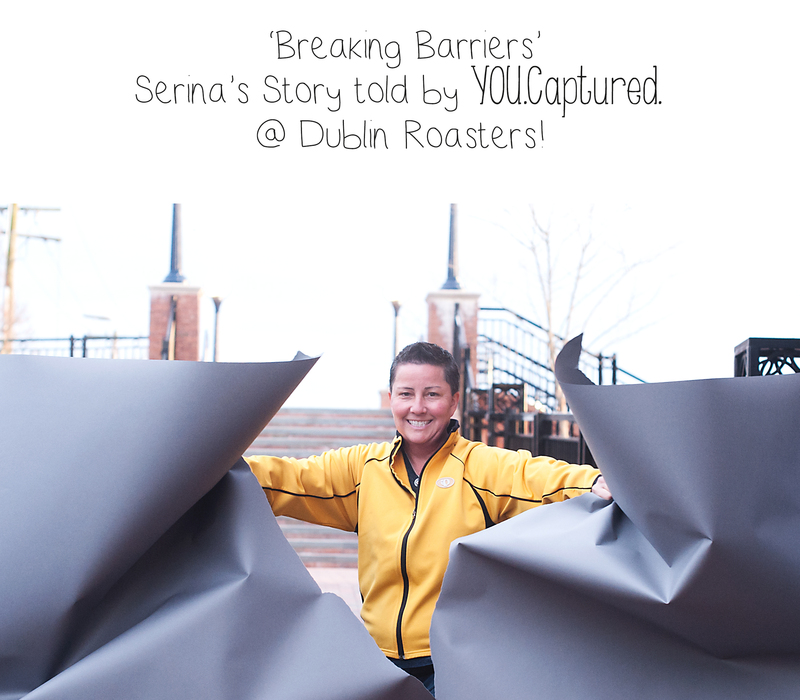 Serina’s story of how she turned her passion of roasting coffee beans into her livelihood is so inspirational and needs to be heard! She trusted YOU.Captured with her story and now we want to share with all of YOU. Mingle with like-minded individuals who recognize the importance of Community and ways to continue to put our heart and souls into what they do and inspire others to do the same! Coffee (of course), light hors d'oeuvres, and delicious desserts will be served!